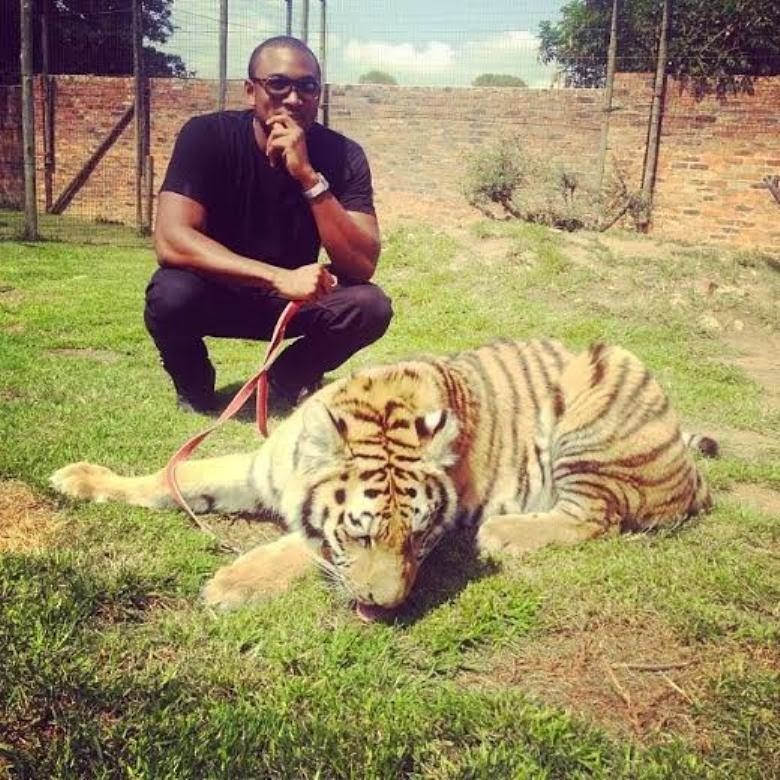 Music video director, Sesan Ogunro, posted a photo of himself with a tiger on his instagram page. Many comments followed after the posting of his the pics of him and his new pet, as people were not sure if hehe was at a zoo or he acquired the wild animal as a pet. Infobuddie thinks he is just posing with it at the zoo, but if it's his new pet, we wish him fun times. LoL!